Gabumon is a reptile type Digimon that wears a pelt of the ferocious, wolf-like Garurumon. Without its pelt the Gabumon is timid, but with the pelt he is bold and aggressive. Gabumon evolves from Tsunomon. 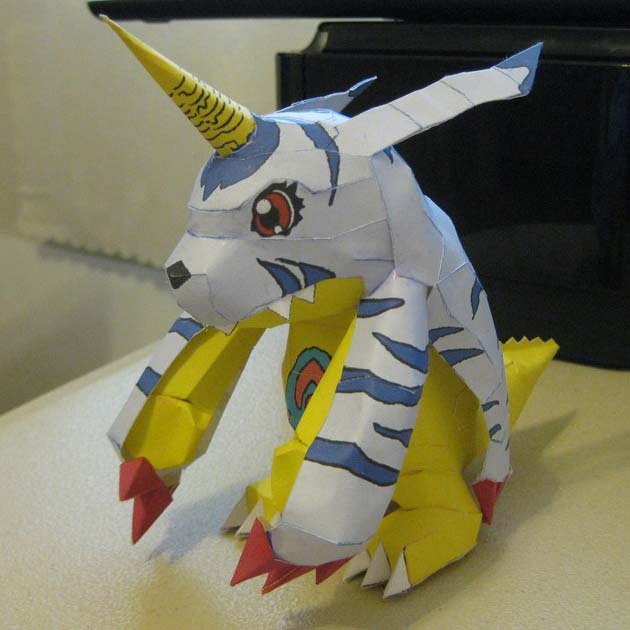 The template for this Digimon papercraft is available here. The build photo above is by Saberfiretiger. Para hacer a gabumon link de descarga? Haga clic en la palabra "here" en el párrafo anterior.